Our weight loss clinic offers a medically supervised weight loss program that is tailored just for you. We get to the bottom of why you gained weight and what is making it so hard to lose it. Our program is also unique in that it is based on a hormone cream and does not require injections. At the Renewed Vitality Dallas weight loss clinic, we believe in methods that are not only effective, but that are also healthy and safe. Losing weight doesn’t have to be a battle! The causes of weight gain can widely vary, so we have developed several therapies that are designed to overcome individual weight loss problems. And by addressing these underlying conditions, it is a lot easier to keep the weight off once you lose it. We have a doctor and two nurse practitioners who are very experienced in medical weight loss programs. We can help you today! Highly trained staff with years of experience in medical weight loss supervise your program. 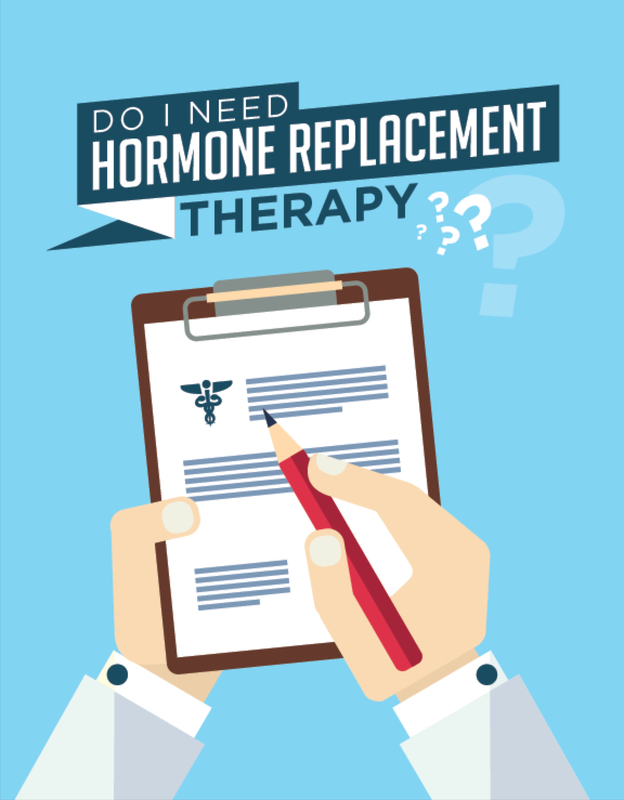 We address hormone issues and other problems that make it hard for you to lose weight. There is always an underlying problem that either leads to weight gain or the inability to lose weight. Many patients suffer from low thyroid hormone causing slow metabolism and therefore an inability to lose weight. Other hormone imbalances can also lead to weight issues. Some people have Candida, a yeast over growth in their intestinal tracts, which can cause cravings for sugar and starch. These and many other underlying issues will be diagnosed using standard medical testing and then treated. Renewed Vitality physicians evaluate each patient for their specific needs and create an effective program for weight loss that meets those needs. There are specific medical conditions that can cause weight gain or make weight loss difficult. We do standard medical testing to find the imbalances and problems in your body that made weight loss so hard. Then we treat those in addition to our unique diet and supplement weight loss program. It is the combination of diet and medical treatment that makes our weight loss program so effective. The Renewed Vitality Weight Loss Clinic provides a weight loss plan that is above the rest because of its speedy results and exceptional medical support along the way. Of course results can vary and we cannot guarantee a specific result. But if you follow our protocol, which isn’t hard, you can be very happy with your results. We offer a free consultation by phone to answer any questions you may have regarding The Vitality Diet. It is scientifically proven that hormone deficiency may lead to weight problems. At Renewed Vitality, we evaluate each and every patient for underlying disorders that could be contributing to weight gain or the inability to lose weight. The thyroid hormone is not the only hormone that determines weight loss. Did you know that testosterone helps activate insulin? If testosterone is low, the patient can develop diabetes. Fortunately, low testosterone can be diagnosed and treated easily. Testosterone also helps build muscle tissue which burns more calories than fat tissue, resulting in increased drive to be active and exercise. Our patients are tested for other hormones that may contribute to weight gain as well. Many people believe that high cortisol levels make them fat, and this can be the case. But it might also be that low cortisol levels are leading to low energy and thus less burning of calories. A complete hormone evaluation is critical in understanding the underlying disorders that lead to weight difficulties. Our weight loss clinic utilizes a hormone cream that helps you burn fat as you follow a straightforward food plan utilizing everyday foods prepared simply. The diet never lasts for more than 6 weeks at a time. The Vitality Diet is not for people who need to lose 10 pounds or less. We often do couples together which leads to very successful outcomes. Typically, men do lose more weight than women, but this is true across the board with most diets. We consider this diet to be one of the safest, easiest and least expensive on the market. Yeast infections can be a chronic problem that can wreak havoc when attempting weight loss. If it is discovered that a yeast infection is present, it can be treated easily with anti-fungal medications. When appropriately treated, the patient’s uncontrollable cravings can be brought under control, allowing the patient to diet easily. The result is remarkable and the patient can even develop a healthier gastrointestinal system that functions better than before. Candida lives off of sugar from starches and sweets and acts as a parasite, dictating cravings for the body to feed it the sugar it wants. Some medical practitioners believe in diets to starve the Candida to death. We believe it is easier to quickly rid the body of this unwelcome invader just with prescription medications. These will greatly enhance your path to sustained weight loss. While on the Vitality Diet, you will have a much lower caloric intake and a smaller list of allowed foods. By attending the cooking classes and using the Vitality Cookbook, you will learn how to make the most out of this calorie restriction with the least amount of effort. The recipes that have been compiled are simple and delicious at the same time. Occasionally some patients need help curbing their appetite while on the Vitality Diet. In these instances an appetite suppressant can be prescribed. Our doctors can utilize a number of appetite suppressants that can further help reduce hunger while dieting and afterwards. Our most commonly used product is not addictive and is safe for long-term usage. Our Slim Shot is an optional part of the Vitality Diet. It is a mixture of B vitamins, amino acids, and lipotropic agents. These injections are used to help patients accelerate their weight loss progress. Slim Shot injections may help with weight loss in two ways: boosting energy and metabolism and increasing the removal of fat from the body. These “fat-burning” lipotropic injections can be administered as frequently as once or twice a week. Why Renewed Vitality Weight Loss Clinic? Be assured that Renewed Vitality will work with you to develop the best diet program for you, helping you achieve tremendous results in the quickest time and in the safest manner. Here’s to your better health and your better look! At the Renewed Vitality Weight Loss Clinic in Dallas, we strive to assist you in achieving the weight loss results you have been searching for. Dr. Marcus Spurlock and his nurse practitioners are all experienced in effective medical weight loss and are prominent specialists in HCG dieting. The Vitality Diet combines the use of the hormone balancing, human chorionic gonadotropin and a short term low calorie diet. This 6-week process encourages quick weight loss. The Vitality Diet is by far one of the most comprehensive and effective diets on the market – although again, we must say that results vary from individual to individual and we cannot guarantee a specific outcome. Effectively addressing underlying causes of weight gain. No invasive injections. Rather, we use a compounded hormone cream. 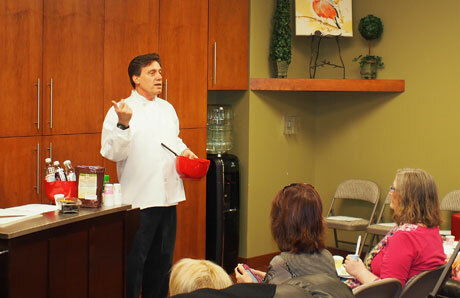 Quick, low-cost meal preparation with cooking classes and Vitality Cookbook. Continued and sustainable weight loss through hormone balancing.